Another geek blog about Media, Home tech and Network security! Razer Blade 15 microphone isn't working or doesn't pick up any sound. Don't worry its a simple fix, follow the steps below. The Razer Blade 15 comes with a Realtek Microphone installed near the camera in the bezel. 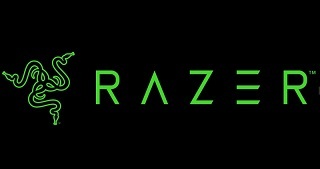 The issue arises from the Realtek software that comes pre-installed on the Razer Blade 15. 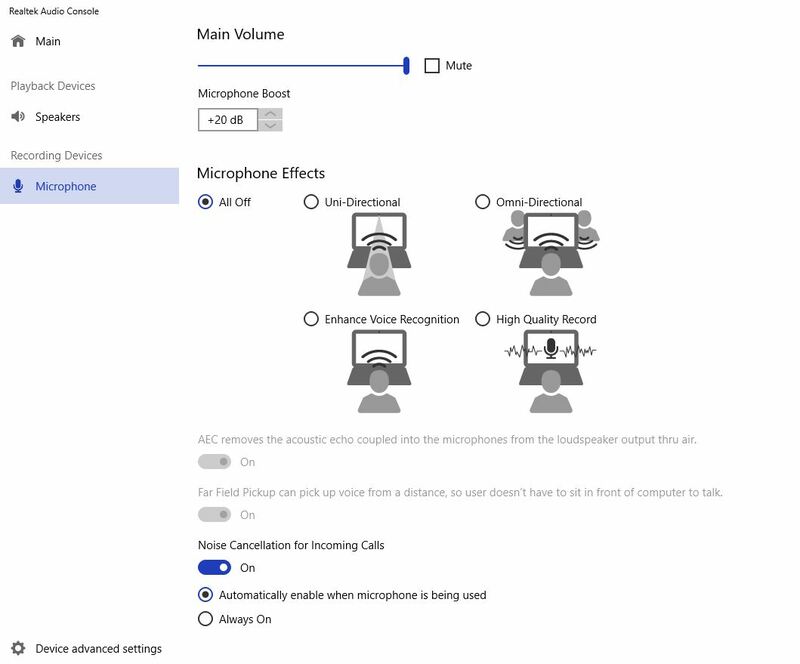 Turning off Microphone Effects 'All Off' fixed the issue. The microphone started working correctly again. By Default NGINX logs all IPs going through the reverse proxy. The log will keep growing in size. To ease of maintainance and troubleshooting, it is advisable to get NGINX to create a new access.log everyday. If NGINX is running on Windows this can be accomplished using a BAT file. We now need to create a Scheduled Task to run this BAT file once a Day. Daily Task or Weekly depending on how often you want to create a new log. Choose a Time for it to change logs, i chose 00:00:01 so it would create a new log after midnight. Next select the location of the BAT file and click next until your seen the screen below. Make sure to put a tick in the 'Open the properties dialog....' box and click finish. For The Task to restart NGINX the same user has to run the Task Scheduler and the Service. Select the correct user in 'Change User or Group' and tick the 'Run with highest privileges' box and click 'ok'. Find your NGINX Service and right click on it 'properties'. On the 'log on' tab change it from 'Local System Account' to 'This Account' and enter the same username as you did for the Task Scheduler. Finally click Apply and Ok. And that's it. The task will run, move the access.log to the new folder and rename it with the date. NGINX will then create a new access.log file and repeat. Upgrading from a Pro version of Windows to Enterprise has never been easier than it is with Windows 10. Recently our licencing changed and we had to move from Pro to Ent. Yes its as simple as that, not formatting, uninstalling or driver changes. You own a domain name and you use Cloudflare to proxy your websites, services or something else and now you want to have an email address with your new shiny domain name. Cloudflare doesnt support mail forwarding, some registrars have their own forwarding system but if you use Cloudflare then we need to look at Mailgun. Sign up for a free account at Mailgun. Creating Routes. In Mailgun we need to specify routes or email addresses. This will define the recipient email and the action to take. You can create a number of routes or you can create a 'catch all' or both. Priority is like rules, It will match the lowest priority first (lowest number), so if you set a 'catch all' rule set a high number priority e.g. 100. That way it will attempt to match everything else first. Finally in Mailgun we also need to validated our personal email address, hotmail, gmail or whatever. Head into Account Settings and then Authorised Recipients. Add your email address which will send a link to your email which you need to validate. Once the DNS settings have been updated and you have validated your email you should now be able to receive any emails sent to *@mymedia.cf which will appear in your hotmail or gmail account. You own a single player that you connected directly to your home router with an Ethernet cable. You don't need the built-in SonosNet, so why not deactivate it to reduce power consumption and electromagnetic radiations. SonosNet relies on the spanning tree protocol (aka STP) to function properly, so if your other network equipment doesn't support this functionality your entire network will be overloaded by broadcast storms and frequently crash. Instead of upgrading your network it is much easier and cheaper to eliminate the source of the problem. You're worried about WiFi-Jacking. Why leave a backdoor in your network that can't be strongly secured? It is possible to switch on or off the wireless adapter of each Sonos player individually. Here's how in 3 simple steps. In the example above, the address is 192.168.1.27. We'll refer to it as in the rest of this article. The entrie labeled 'eth0' and 'eth1' correspond to the 2 wired ports. The 'lo' and 'br0' interfaces are virtual networking devices used internally by the Linux kernel. The entry we're interested in is labeled 'ath0', which stands for Atheros device 0. Atheros is the manufacturer of the embedded WiFi chip. You can also check that the link has indeed been disabled by going back to the status page. The 'ath0' entry should not be present anymore. The setting is not persistent, so if you happen to be unable to connect to your player after disabling the WiFi you can undo the change by power cycling the player. I have posted previously regarding gaining a SSL certificate for your own domain name. Previous post here. This post will demonstrate gaining a cert using a Windows Tool. The tool is available from ZeroSSL here. To get the tool to automatically fetch certificates we need to amend the NGINX config slighty. The extra line allows the ACME challenge to verify you own the domain that you are trying to get a certificate for. The line above needs to be added to each Server Block for it to work. Next we need to use a command line to start le64.exe with our custom arguments. --email "[email protected]" - to your email address keeping the ""
hit enter and it should go off an fetch your real domain.csr account.key and domain.crt and domain.key. these will be downloaded into the le64 folder. Keep the csr and account.key safe, you will need these for renewal. Now you have all this setup you can re-run the above le64.exe script come renew and its all done. You've probably stumbled across this page if like me you were trying to find a way to install a shared printer to all users on a Windows machine. By default a shared printer only gets installed to a users profile, when the next user comes along the printer needs to be reinstalled. Normally you can install the printer using a local port or TCP-IP port which would then work for all users. However if you use a printer server or just shared it from another machine then you need to know the hack below which will install it for all users. Install the printer as you normally would on your print server. Either using a local port (USB) or TCP/IP (Network) and drivers. Make any changes to the printer, trays, adding x86 and x64 drivers, set security permissions. Copy the below into the CMD window, changing \\servername\printer to your details. for more options use /? You can also copy it into a .bat file to make it easier to install on multiple machines. Give it a few minutes to install, once completed it will have installed the printer and kept all the Custom preferences set on the Server. Sonos, Unifi, VLAN and Firewalls.